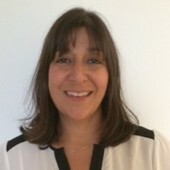 Hi, my name's Haleh and I'm a qualified Person-Centred counsellor working from two locations: Camden ( also close proximity to Kings Cross) and East London (E11). My belief, is that healing comes from within - ultimately you know yourself best. So my role as a counsellor is to work with you to recognise and understand your issues so that you can make choices that sit right with you. To date, I have worked with clients who: want to change the outlook of their life, feel unable to cope with recent or continual change, are unhappy with their work/life balance, are experiencing relationship issues, have experienced domestic violence, suffer from depression, have experienced trauma, suffer from stress and anxiety, are experiencing loneliness.